Forks for hazardous locations and atmospheres. 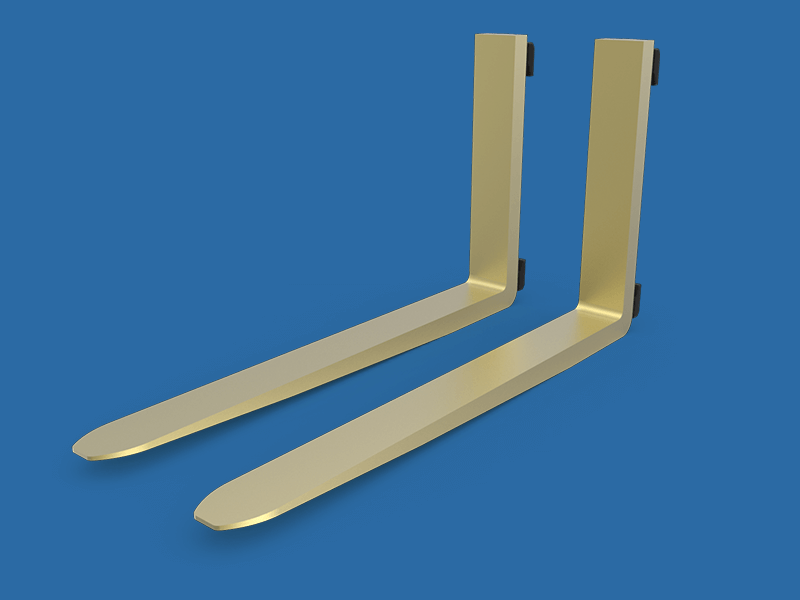 The most popular Spark Retardant Fork is covered in ASTM B36 alloy 6 brass that is 0.125" thick (except rear of upright and hooks) and brazed 100% along all seams. Stainless steel clad forks are also available for the food industry though these are not spark retardant.